Pepe´s House i Cuenca, Ecuador: Reservér nu! 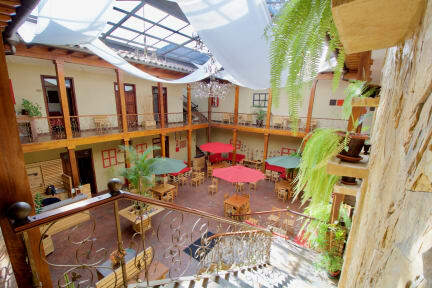 We are in a strategic location Airport/Bus Terminal 7min, and you can walk to many places: Calderón Park, Cuenca University, government offices, historic churches, restaurants, fresh market, drugstore and shops of all kinds. We offer Cosy, large, bright, quiet dorms for 5 and 6 persons in our double beds.